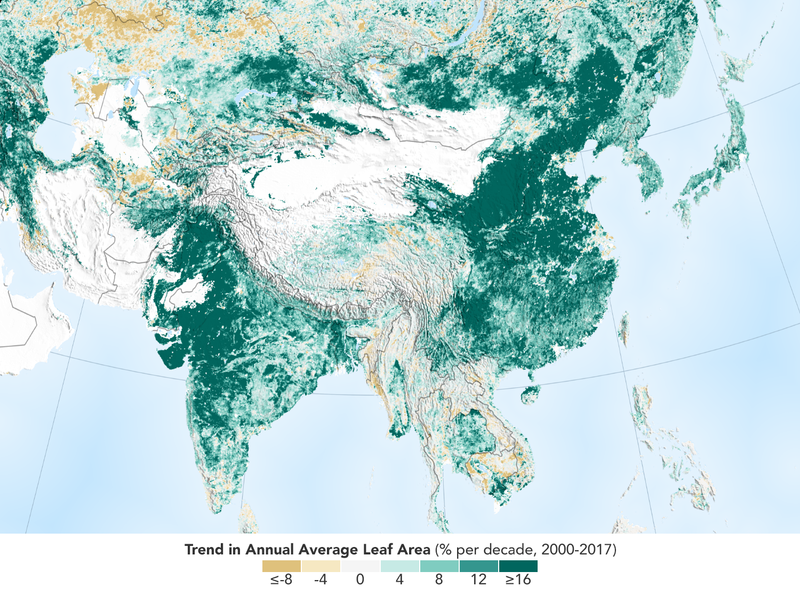 The world is literally a greener place than it was 20 years ago, and data from NASA satellites has revealed a counterintuitive source for much of this new foliage: China and India. 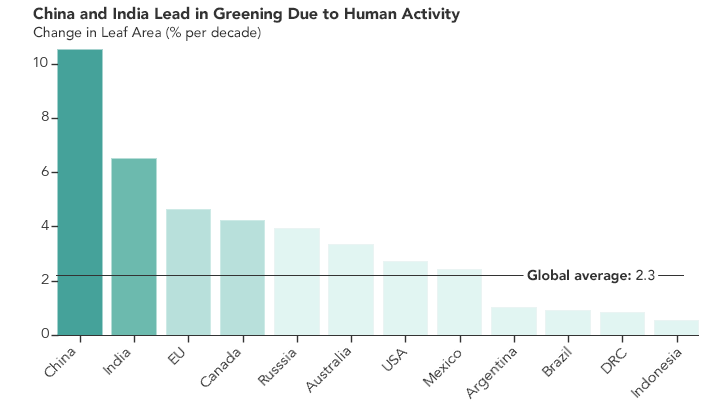 A new study shows that the two emerging countries with the world’s biggest populations are leading the increase in greening on land. The effect stems mainly from ambitious tree planting programs in China and intensive agriculture in both countries.The greening phenomenon was first detected using satellite data in the mid-1990s by Ranga Myneni of Boston University and colleagues, but they did not know whether human activity was one of its chief, direct causes. This new insight was made possible by a nearly 20-year-long data record from a NASA instrument orbiting the Earth on two satellites. It’s called the Moderate Resolution Imaging Spectroradiometer, or MODIS, and its high-resolution data provides very accurate information, helping researchers work out details of what’s happening with Earth’s vegetation, down to the level of 500 meters, or about 1,600 feet, on the ground. 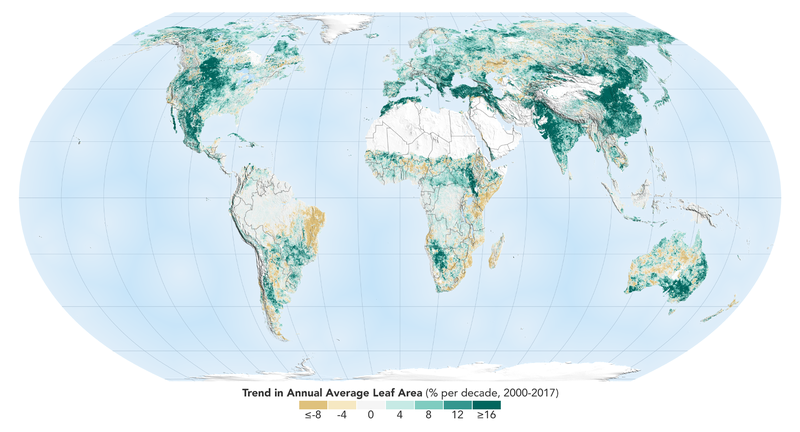 Taken all together, the greening of the planet over the last two decades represents an increase in leaf area on plants and trees equivalent to the area covered by all the Amazon rainforests. There are now more than two million square miles of extra green leaf area per year, compared to the early 2000s – a 5% increase. “China and India account for one-third of the greening, but contain only 9% of the planet’s land area covered in vegetation – a surprising finding, considering the general notion of land degradation in populous countries from overexploitation,” said Chi Chen of the Department of Earth and Environment at Boston University, in Massachusetts, and lead author of the study. Land area used to grow crops is comparable in China and India – more than 770,000 square miles – and has not changed much since the early 2000s. Yet these regions have greatly increased both their annual total green leaf area and their food production. This was achieved through multiple cropping practices, where a field is replanted to produce another harvest several times a year. Production of grains, vegetables, fruits and more have increased by about 35-40% since 2000 to feed their large populations. The researchers point out that the gain in greenness seen around the world and dominated by India and China does not offset the damage from loss of natural vegetation in tropical regions, such as Brazil and Indonesia. The consequences for sustainability and biodiversity in those ecosystems remain. This research was published online, Feb. 11, 2019, in the journal Nature Sustainability. Members of the news media interested in covering this topic should get in touch with the science representative on the NASA Ames media contacts page. Worldview Snapshots is an easy-to-use application for rapidly producing images from daily MODIS and VIIRS global imagery. After almost 20 years, the Rapid Response system that was created to display daily satellite images is being retired. The good news is that a new system with greater capability and flexibility for producing these images is taking its place – Worldview Snapshots. Worldview Snapshots is a lightweight application created by NASA’s Earth Science Data and Information System (ESDIS) Project for quickly making satellite images for any location on Earth (including the poles). Users can even configure the application to produce daily images of a specific area of interest, and images can be previewed and adjusted before they are downloaded. 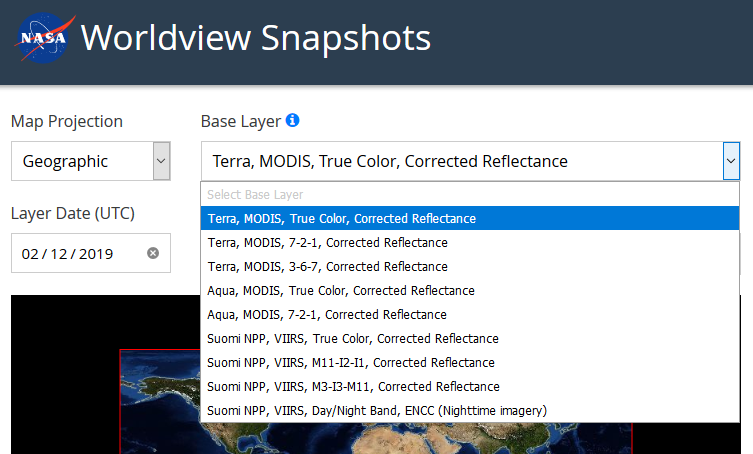 Based on the size of the geographic area selected, Worldview Snapshots even provides a suggested optimal image resolution from a drop-down menu. The nine available base layers include MODIS and VIIRS Corrected Reflectance along with several band combinations for highlighting features like snow, ice, and flooding. The VIIRS Day/Night Band enables studies of auroras, urban spread, and even the movement of fishing fleets. 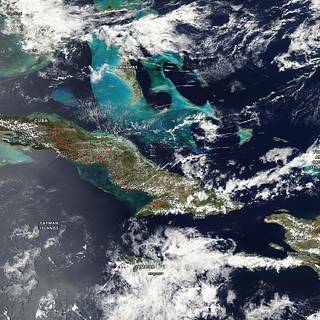 NASA EOSDIS/Worldview Snapshots image. Worldview Snapshots offers daily base layers from the Moderate Resolution Imaging Spectroradiometer (MODIS)instrument aboard NASA’s Terra and Aqua Earth observing satellites as well as from the Visible Infrared Imaging Radiometer Suite (VIIRS) instrument aboard the joint NASA/National Oceanic and Atmospheric Administration (NOAA) Suomi National Polar-orbiting Partnership (Suomi-NPP) satellite. To keep Worldview Snapshots uncluttered and allow for rapid image creation, the application features only nine common MODIS and VIIRS base layers and only three overlays: fires (provided by the Land, Atmosphere Near real-time Capability for EOS [LANCE] system); coastlines; and coastlines, borders, and roads. If the fire overlay is selected, the fire overlay will be matched with the corresponding base layer. For example, if a Terra MODIS Corrected Reflectance base layer is chosen, the application will use the Terra MODIS Day Fires/Thermal Anomalies overlay. The ESDIS Project created Worldview Snapshots using the same API that powers the Worldview data visualization application. In fact, imagery for both Worldview and Worldview Snapshots is provided through NASA’s Global Imagery Browse Services (GIBS). However, while Worldview is designed for in-depth interactive exploration of satellite imagery using more than 800 layers (including the ability to compare imagery from different days and create animated GIFs of imagery covering several days), Worldview Snapshots is designed for the rapid creation of static images based on a limited menu of pre-defined settings. This makes Worldview Snapshots well-suited for users with limited internet bandwidth, such as users aboard research vessels or conducting research in remote areas. Want to explore a snapshot in more detail? A simple click of a button imports Worldview Snapshots settings into Worldview, where the image can be interactively explored in more detail. Creating a snapshot is easy! 1. Select a base layer from the dropdown menu and click the box next to any desired overlay layers, then highlight the area to appear in the snapshot. Click the orange “Preview” button to check the image or the blue “Download” button to directly download the image. 2. The preview window provides basic information about the image, including resolution, dimensions in pixels, file format, and estimated size. There also is an opportunity to shorten the image link for sharing. If the image looks good, click the large blue “Download Image” bar. 3. Final image is displayed. At the click of a button, a user also can import their Worldview Snapshots parameters into NASA Worldview to browse full-resolution imagery and add more than 800 additional data layers. NASA EOSDIS/Worldview Snapshots image. Worldview Snapshots is a logical evolution of the Rapid Response system. 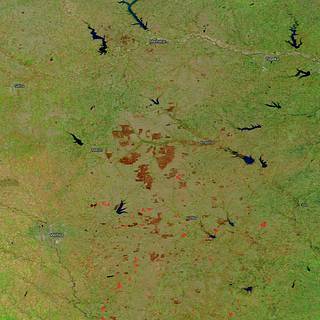 When it was created in 2001, Rapid Response was designed to provide images created from Terra MODIS data shortly after a satellite overpass. These static images met the needs of the U.S. Forest Service, the National Interagency Fire Center, and other federal and state users. 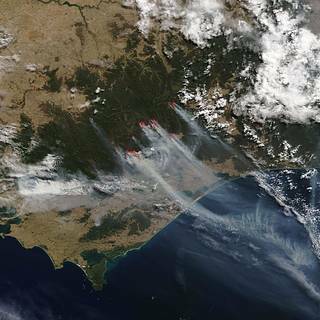 While lacking the processing and quality assessment required for scientific use, these near real-time images were perfect for monitoring and tracking ongoing events, such as wildfires or storms. By 2007, Rapid Response had incorporated data and imagery from Aqua MODIS and was producing daily images of pre-defined areas. LANCE was developed in 2009 to deliver data and imagery from instruments aboard numerous Earth observing missions within three hours of a satellite overpass. The advent of global mapping services like Google Maps created a desire for interactive imagery for any point on Earth, not just the pre-defined Rapid Response images. As a result, an effort to create daily global MODIS imagery was initiated in 2011 along with the development of an application to allow users to interactively explore this imagery. The result was Worldview, which was introduced in December 2011. The combination of Worldview Snapshots’ ability to quickly create images showing any location on Earth and Worldview’s ability to enable in-depth interactive exploration of daily global imagery provides users with an unmatched, integrated flexibility to explore the planet using NASA Earth observing data. See for yourself and create some snapshots today!